Many people have heard of melatonin to help aid sleep issues such as insomnia. There are, however, other benefits that melatonin can help in your optimal health journey. Exciting research is pouring in showing that melatonin can have an effect in diseases from cancer to alzheimer’s disease to anti-aging. Melatonin is a hormone that is secreted by the pineal gland, which is about the size of a pea, located deep in the center of the brain. Melatonin is highly sensitive to light; light reduces the trigger of melatonin and darkness increases it and that helps regulate sleep patterns. In other words, if you are exposed to light in the middle of the night, melatonin production diminishes…vastly and vice versa. Melatonin is not just a sleep aid but a powerful antioxidant as well that helps protect us from infection, inflammation, and autoimmunity. If you are a regular reader of my blogs, you know how I feel about low-level inflammation: it is the core cause of most illness, disease, faster aging and weight gain. Studies have shown the melatonin can help reset your body’s clock after jet lag. About 50 percent of people in studies were able to reset their body’s internal clock faster using low-dose melatonin supplements for a few days. The pineal gland in the brain regulates our internal body clock. When the timing or intensity of the melatonin is disrupted – we feel awful such as can experience with jet lag. Melatonin can help prevent jet lag if taken a few days before departure or mitigate the symptoms of jet lag if continued a few days after arrival to destination. As we age, night levels of melatonin also decline and with it comes an overall decrease in quality and quantity of sleep – not to mention a reduction in many hormones and thyroid — your metabolic master — is one of them. Sluggish thyroid can result in weight gain. Studies show that melatonin is a powerful tool that can help alleviate the dreaded ‘Menopause Belly’ as well as increase better mood. Studies are showing that cancer cell growth and division can be interfered with via melatonin and thus, prevent cancer from occurring. Research shows that intervening with melatonin in advanced stages of cancer either by slowing the progression of the disease or ameliorating the side effects of cancer treatment. Melatonin also activates the immune system to such a degree that leading experts feel melatonin to be an accompanying therapy Long term night shift workers are at a greater risk for cancer as their melatonin is suppressed due to increased exposure to light during the night hours. Melatonin can make you look younger. Studies show that melatonin stimulates the growth of fibroblasts. Those are special cells that produce collagen and elastin that keep your skin smooth, firm and wrinkle free. Studies show melatonin is a stronger free radical scavenger than even vitamins C and E that are important for youthful skin. Research on animals shows that longevity occurs with melatonin. In one study, those who received melatonin, extended their lifespan by 20%, were more energetic, had more energy, shinier fur Not only can melatonin help prevent faster aging, it can also exert beneficial effects against age-related bone loss. Simply Adding a daily dose of melatonin can help optimize many areas of your health – even if you are not experiencing insomnia. A nighttime dose of 1-5 mg. of the sublingual melatonin spray is highly effective to help create optimal health. © 2015 DLS HealthWorks, LLC. 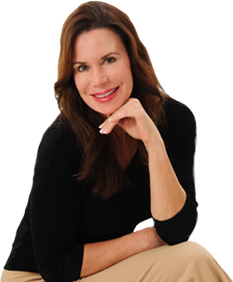 Sign-up for Dr. Lori’s monthly newsletter with free gifts!